We have six different types of self catering holiday cottage properties, all set in a stunning location at Loch Monzievaird, Crieff, Perthshire. Gamekeepers Cottage is a stone-built listed building situated close to our entrance and offers great facilities for up to six. Our other 22 lodges are Scandinavian built homes, which were constructed in the 1970s to the mid to late 1980s. All the lodges have been constantly updated to maintain modern standards. The largest of our holiday homes can accommodate up to eight guests, but we offer a range of sizes to suit a wide range of requirements. All are fully equipped for a special holiday. Some even have saunas! The descriptions on the following pages provide details of each. More specific information can be found in our information and book on-line sections. 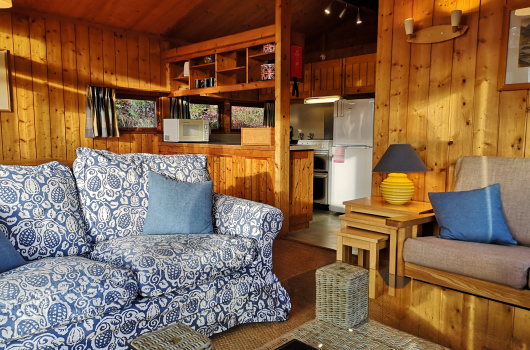 These five lovely holiday lodges offer excellent self catering holiday cottage accommodation for families, small groups or couples visiting Highland Perthshire. 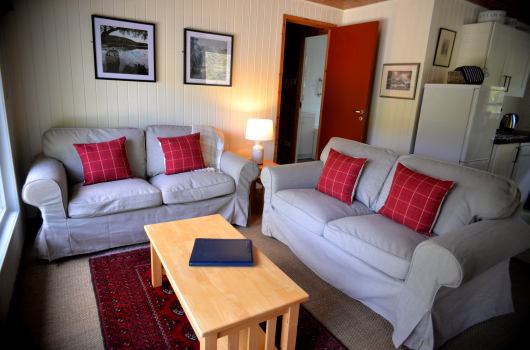 These four lodges provide ideal self-catering holiday cottage accommodation in Highland Perthshire for either four adults or two adults plus two or three children. 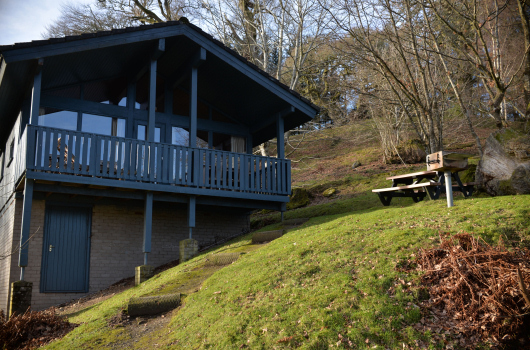 These two holiday lodges all enjoy elevated positions overlooking the loch. They are especially suitable for a family of two adults and two children or four adults. Our four lodges of this type are the largest and most spacious of the self-catering holiday cottages here at Loch Monzievaird in Highland Perthshire. 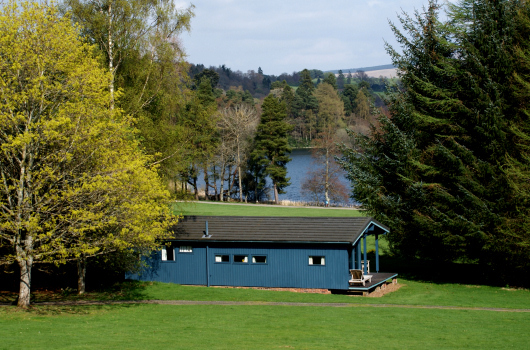 We have six holiday lodges of this type at Loch Monzievaird, all with stunning loch views. They sleep four adults plus three or four children or an all adult group of up to six. Gamekeeper's Cottage was the original gamekeeper's house for Ochtertyre Estate. It offers excellent accommodation for a holiday near Crieff in Highland Perthshire. Our self catering holiday cottage and lodges at Loch Monzievaird offer four-star standards of comfort in extensive mature grounds of oak and beech around a stunning Scottish loch. 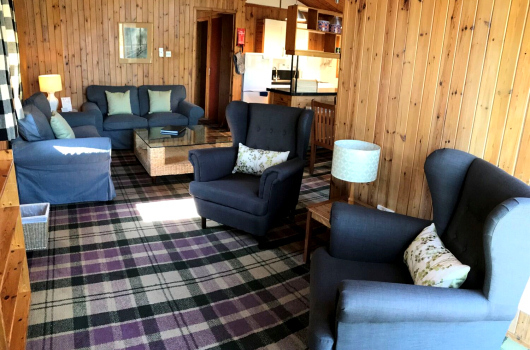 The lodges are private and well spread out, and all take advantage of differing elevated positions to enjoy magnificent views over Loch Monzievaird. All of our holiday homes include bed linen (duvets, covers, sheets and pillowcases), one bath towel per person, one hand towel per person, two tea towels, cutlery, crockery, glassware, pots and pans, cooker, fridge-freezer, colour television (local Freeview network with 30+ channels and integrated Sky Sports channels), DVD player, microwave oven, toaster, vacuum cleaner, cafetiere, iron, ironing board, apron, oven glove, first aid kit, hair dryer, mains-powered smoke detector, fire extinguisher and fire blanket. All types except Conifer have dishwashers. We provide a starter pack comprising dish cloths, soap, toilet rolls, washing-up liquid, and dishwasher powder where relevant. Each property has hardwood deck furniture, a large rotating barbecue and a picnic table. The landscape here is very varied and undulating. The views, parking and access can be quite different. For instance, there is a 15 metre difference in elevation between Lodge 5, which is at loch level, and Lodge 6, which is up a small track among trees. 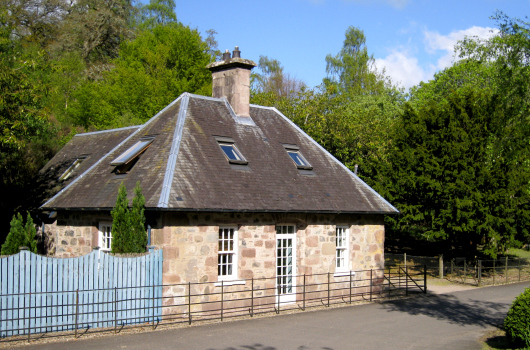 Lodges 15 to 24 are located about ten metres below the level of the Crieff to Comrie road. The site is wooded, so trees offer additional privacy to some locations. Some chalets are more easily accessible for wheelchairs, pushchairs and parking. If you need help in deciding which accommodation will suit you best, please call us and we will be delighted to talk you through the available options and help you make the most appropriate choice. Booking information and other useful details can be found in our information section. Check our special offers page for details of any offers, late availability or cancellations. Please contact us if you wish to make an enquiry.